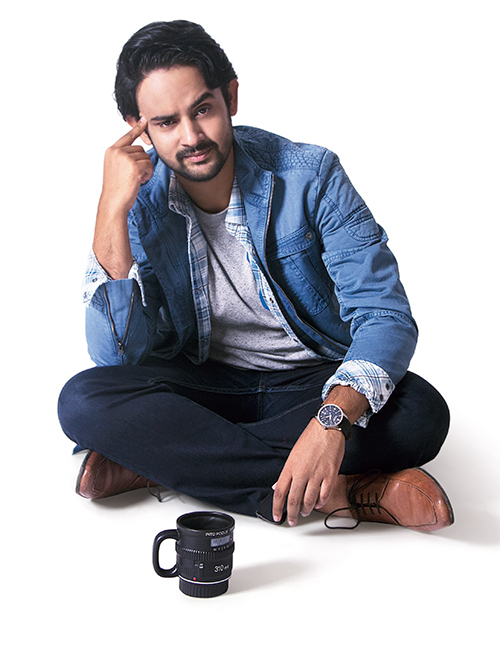 Grey T-shirt, plaid shirt, both from G-Star Raw; blue jacket, from Breakbounce; watch, from Victorinox; blue denims and tan shoes, Anurag’s own. All about having an open mind and having the ability to learn without any inhibitions. Each has its own charm. My personal work is more inclined towards monochrome since I find it easier to hold a thought together that way. TIME LightBox, The New Yorker, Invisible Photographer Asia. The Kiss by Robert Doisneau. Everything from Nusrat Fateh Ali Khan and Ustad Amjad Ali Khan to Rabindra Sangeet and Pink Floyd…and a whole lot in between. Prabuddha Dasgupta, Pablo Bartholomew, Raghubir Singh, Sohrab Hura, Dayanita Singh, Alex Webb, Henri Cartier-Bresson and so many others! Satyajit Ray’s stories, Milan Kundera’s observations and humour, and any music that moves me. Love in Bombay and I’m Not Here (documenting my absence from my hometown). Both these series are ongoing.